IQOS is the result of over a decade of research on a range of potentially reduced-risk alternatives to cigarettes conducted by more than 430 scientists and experts in PMI’s R&D facilities in Switzerland. Investment to date exceeds $3 billion. IQOS innovative technology heats tobacco without burning, generating a vapor that contains on average 90-95% lower levels of toxicants compared with the smoke from a reference cigarette designed for scientific research. IQOS does not produce smoke or ash and the vapor has far less smell than cigarette smoke. IQOS use does not adversely affect indoor air quality and IQOS is not a source of second-hand smoke. 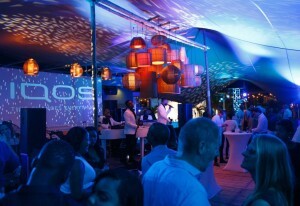 WILLEMSTAD - Superior Tobacco Company Curacao N.V. (STCC), a subsidiary of Philip Morris International Inc. (PMI) introduced in May its innovative product, IQOS, in Curacao. Over three million cigarette adult smokers have already switched to IQOS worldwide and 8,000 are switching daily. IQOS is an electronic device that heats specially designed tobacco sticks at temperatures well below combustion levels. As it heats but does not burn tobacco, IQOS generates no smoke or ash but a flavorful vapor containing nicotine, which does not adversely affect indoor air quality and produces less smell than cigarette smoke. IQOS is the first of a range of potentially reduced-risk alternatives to cigarettes PMI has been working on for over a decade, investing over $3 billion in research and development. PMI’s research to date indicates that IQOS generates an aerosol that contains on average 90-95% lower levels of toxicants when compared to cigarette smoke, while still providing consumers real tobacco taste. PMI has already launched IQOS in several countries including Japan, Italy, Switzerland, the Netherlands and Colombia; and plans to expand to cities in more than 30 countries by the end of 2017. 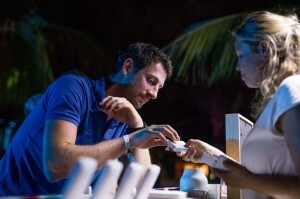 If you want to know more about IQOS in Curacao visit: www.iqos.com.cw (1)PMI’s scientific research can be found at www.pmiscience.com.